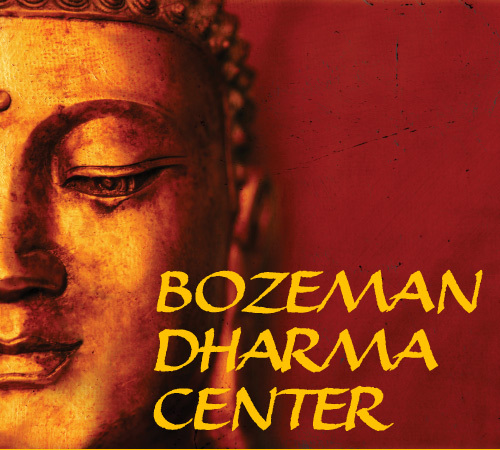 The Bozeman Dharma Center is the culmination of an idea that has been simmering in this community for many years. 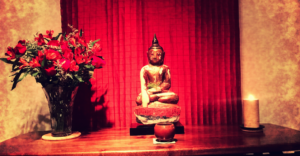 Finally, in 2013, the right combination of support, leadership and volunteers made it possible to establish a shared home for Bozeman’s Buddhist groups – a place of refuge and silence where we can offer a full schedule of sitting practices, instruction and study of Buddhist teachings. The programs are meant to inspire practice and honor the inner life – solitude and silence, creativity and growth, compassion and wisdom. In these fast-paced and extroverted times, there is a need for serene and quiet places to nurture our spiritual lives and to foster inner growth. 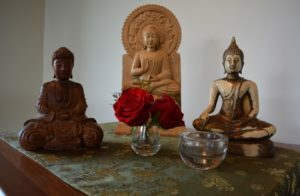 Whether you are just beginning to explore meditation and Buddhism, or have been practicing for years, you are welcome to join us in quiet sitting times, sangha meetings, study groups, weekend retreats and other programs. Meditation is compatible with other religious traditions and it is not necessary to forgo any religious affiliation to explore these practices. All are welcome regardless of religious affiliation, race, sexual orientation, political or socio-economic circumstances. dissolve barriers that separate us from each other. gender identities, ages, abilities, cultures, and ethnicities. of an open heart and mind. If you have any questions about the Dharma Center or our programs, please email us at info@bozemandharmacenter.org.